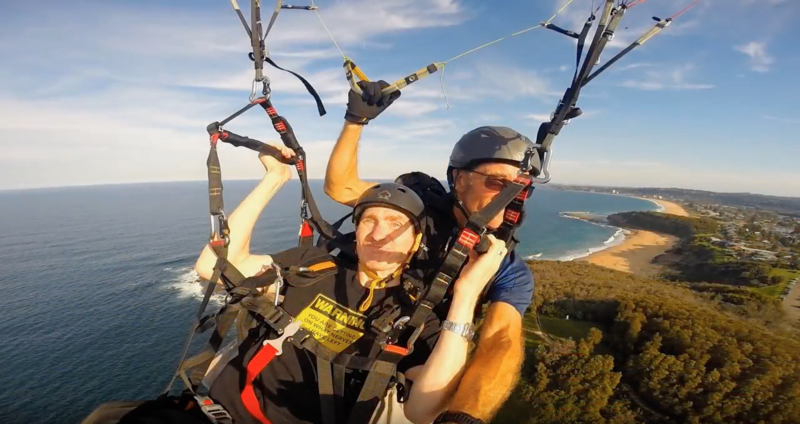 What Greg Hurst from Sydney Paragliding has been up to…. Neville wanted to know if he could fly if he couldn’t walk. The answer was easy – absolutely! With the help of some local pilots: Gareth, Phil, Jules, Denman and Hatchy, Neville took launched into the blue. He was one happy chappy. I warned Neville before take off that we may do a face plant on landing, but conditions were good and it was smooth as silk.